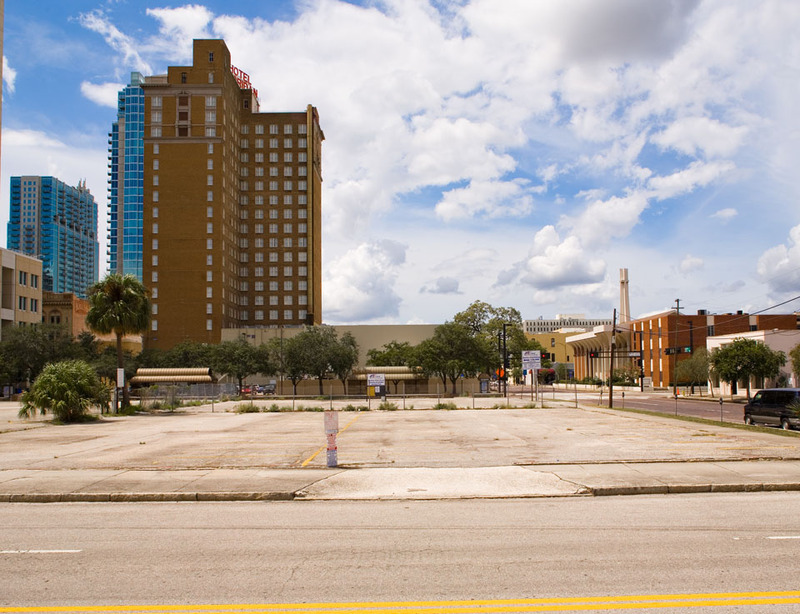 While the Motor Parts Company, on the corner of Tyler and Morgan streets, has long since been demolished, the recently renovated Floridan Palace is still there. If you look closely at the reflection in the Motor Parts’ window, just above the front door, you’ll notice a tripod on the roof of a truck as well as the photographer taking the original 1947 photograph. Instead of standing on the roof of my car, I brought a ladder with me to help me get the same vantage point as the 1947 photo. 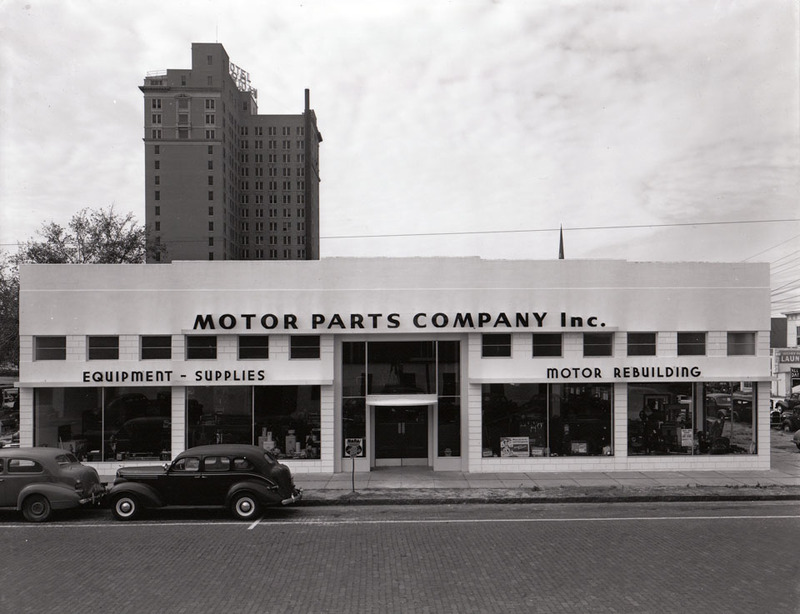 The auto parts building is still there on Tyler and Morgan, and is serving as office of a local engineering company. The “now” photo shows parking lot on Cass and Morgan, I think. I took the photo on Morgan, just west of Tyler. I’m pretty sure that was the correct location based on how well the hotel in the background matches up as well as the steeple of the former church. My bad! You are right.